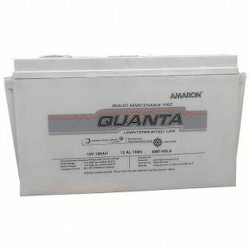 We are a leading Manufacturer of quanta 12v 65ah battery, quanta 12v 42ah battery, quanta 12v 100ah battery, amaron 12v 26ah battery and amaron quanta smf battery from Chennai, India. It is aesthetically designed, with an L-shaped terminal block that comes with a rugged Flappon terminal protector that prevents shorts. 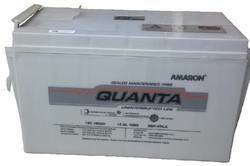 Amaron Quanta is compact, lightweight, explosion-resistant, factory charged and enviro. ese batteries are manfucatured at world class facilities in assoication with Johnson Controls. 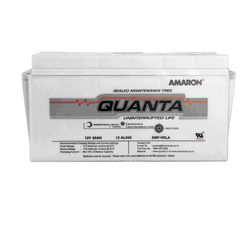 Amaron Quanta Batteries are a product of world class battery technology produced and tested in Amara Raja’s premier VRLA manufacturing facility, supported by technology expertise from alliance partner Johnson Control Inc.
A market leader in just 10 years, Amaron Quanta is a preferred 12V VRLA SMF battery brand by most of reputed UPS manufacturers and customers across various segments like Banks, IT Companies, BPOs, Industries, Government Departments, Hospital, and Education Institutes etc. 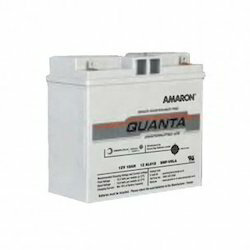 We are offering Amaron Quanta SMF Battery. 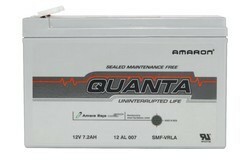 Looking for AMARON QUANTA ?